There's no better way for me to explain Tulum, but by two words, and two words only; good vibes. Everyone here was dressed so impeccably, bohemian whites, nudes, and black. Nothing colourful. 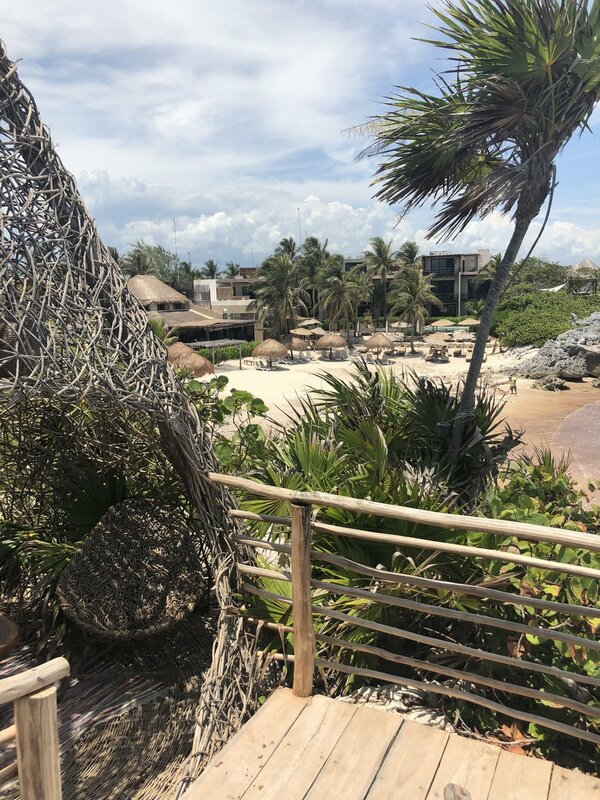 It was my first time traveling to Tulum, but had heard so much about this magical place. I did a great deal of research, and had planned every outfit to every location we were visiting. Acai bowls a at Matcha Mama. Washing the sand off my feet at Nomade. Prettiest views from Maria Del Mar. Cutest indoor/outdoor restaurant at Habitas hotel. Relaxing pool day at Habitas Hotel. A very very hot day at the Mayan Ruins. Dinner in the magical Azulik hotel, where dinner tables are separated into the forest like nests. Bike rides around Tulum town. Visiting Casa Malca, Pablo Escobar's former mansion!